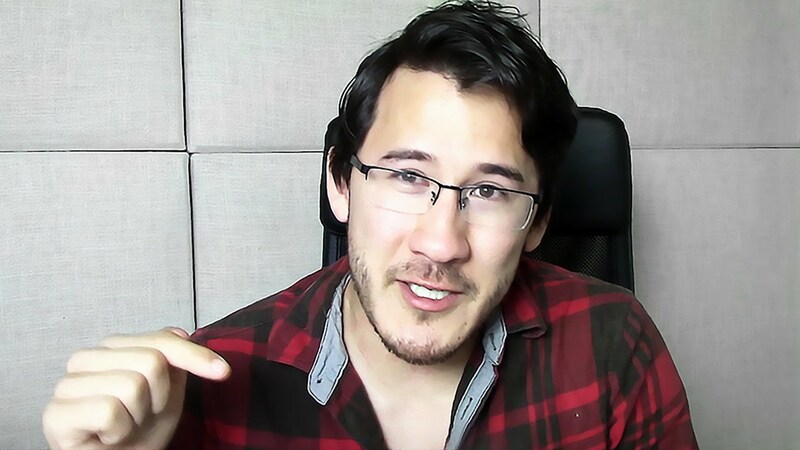 Markiplier - Bio, Girlfriend, Net Worth and Salary Brother, Is He Gay? Home Media Personalities Markiplier – Bio, Girlfriend, Net Worth and Salary Brother, Is He Gay? Mark Fischbach famously known as Markiplier is an American YouTube star and professional gamer who rose to prominence through his YouTube Channel. Interestingly, Mark is considered one of the highest earners on the video sharing platform and his channel is rated 36th most-subscribed channel. He began his social media career since 2012 and has amassed over 22 million fans on his channel as well as over 10 billion views on his videos. In addition, Markiplier also tops Forbes List of Gaming Influencers. Learn more about the gaming legend below. The social media sensation was born as Mark Edward Fischbach on the 28th June 1989 in Honolulu, Hawaii. Shortly after his birth, Mark’s family relocated to Cincinnati, Ohio where he was raised. He finished from Milford High School where he was a part of the school band. After his graduation, Mark proceeded to the University of Cincinnati where he was studying biomedical engineering before dropping out to focus on his YouTube career. Mark holds an American nationality and is of the Korean ethnicity. Joining the online video streaming YouTube community in 2012, Mark created his first channel with the name Markiplier. At first, he began to upload his gaming videos on the platform but his first channel didn’t last long before it was banned by YouTube. He went on to create his current channel he called MarkiplierGAME. He continued making live streams of gaming videos and in 2014; his channel was listed among the top 100 YouTube channels. Mark moved to Los Angeles in 2014 where he made appearances on the popular Jimmy Kimmel Live show. Through the show, the YouTuber was able to garner more popularity and not long after that, Mark was rated among the top 20 young influencers in the United States. He achieved a milestone in 2015 when his channel hit ten million subscribers. Diversifying from being a gamer, the star also extended his potentials to uploading comedy sketches and funny videos. Amazingly, Markiplier’s popularity has constantly been on the increase. He currently has over 22 million subscribers and his videos have garnered over ten billion views to date. Additionally, Mark embarked on a tour tagged You’re Welcome in the mid-2017. Through his tour, the YouTube star has visited many places across Europe, North America, and Australia, among others. He has collaborated with other top YouTubers such as PewDiePie, Jacksepticeye, Adam Montoya, Game Grumps, and many others. The talented YouTuber has acquired huge wealth for himself and is currently living a lavish lifestyle. Markiplier has his net worth pegged at $16 million, he also makes over $11 thousand from YouTube on a daily basis. Being one of the top influencers on the video sharing platform, Mark earns his net worth from live streaming and donations, as well as sponsorships and other business ventures. Markiplier has joined those celebrities whose sexual orientation has been a thing of public scrutiny. Many of his fans have been wondering if the YouTube star is gay or not. The speculations began to fly around in 2017 after the star used his GoFundMe page to raise over a hundred thousand dollars to support the LGBTQ community. Amazingly, he has been an active supporter of the community as well as a human rights activist. Asides from the LGBTQ community, Mark has also helped to raise money to support other causes including the Human Rights Campaign as well as those suffering Depression and bipolar disorder. Apparently, Markiplier is not gay and supporting the LGBTQ Community doesn’t make him one either. It is already known that he has a girlfriend named Amy Nelson. That can further clarify those with extra doubts. Mark isn’t the only child of his parents; he has an older brother named Jason Thomas Fischbach. Jason was born in 1987, he is an artist as well as an acclaimed author; best known for being the creator of the web series titled TwoKinds. While Mark is always seen in front of the cameras, Jason, on the other hand, doesn’t enjoy being in front of cameras. The few times he has appeared in Mark’s videos were as a result of Mark’s continuous persistence for the sake of his audience. The two brothers have been successful in their chosen careers and are very supportive of each other. Markiplier, in addition to his burgeoning social media career, is also successful when it comes to his love life. The YouTube star has been dating a lady named Amy Nelson. Amy is a talented animator and graphic designer. She was born in Cincinnati on the 21st day of May 1994. There is no much information regarding Nelson, her family, and educational background. Apparently, the perfect couple started their relationship in 2015. Their relationship saw the light of the day in 2016 when the duo was spotted at the Video conference (VidCon) event. Since then, the couple has always been seen together at events and public places. Interestingly, Nelson has featured on Markiplier’s videos several times. The lovebirds live in Los Angeles, California and have been together for over three years and counting. They haven’t made it down the aisle yet but have plans of doing that soon.